New FDA commissioner Scott Gottlieb has said reducing costs of drugs will be an important goal for the agency – even though the regulator does not have a direct say in pricing. 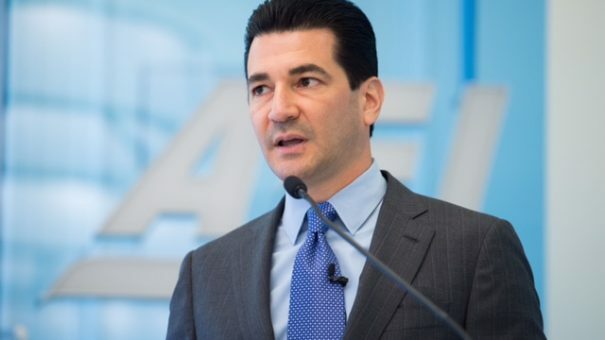 In his first speech as commissioner at a meeting of FDA staff, Gottlieb said ensuring cheaper generic and biosimilar alternatives are on the market will be a priority for the regulator. Gottlieb has this month been confirmed as head of the FDA in a Senate vote, after being appointed to the job by president Donald Trump. According to press reports, Gottlieb has already begun reorganising 4,000 inspection staff so that they specialise in certain regulatory areas such as medical devices and drugs. They were previously organised into teams based on geographical location. Gottlieb suggested that streamlining the regulatory process will also be necessary to keep down drug R&D costs, so that these are not translated into higher drug prices once on the market. This looks to be contrary to the signals made by the president, who had boasted that his administration would sweep away many FDA regulations. Gottlieb added that the FDA’s biggest challenge is opioid abuse, and promised “forceful steps to address this crisis,” referring to widespread abuse of opioid painkillers in some areas of the US. While he did not specify the steps he is planning, Scott Gottlieb said that opioid addiction is a “public health crisis of staggering human and economic proportion”. While the FDA could not solve the problem alone, it could reduce the rate of new abuse and give healthcare providers tools to reduce exposure to opioids, Gottlieb. While he received the backing of the pharma industry over more radical candidates such as Silicon Valley investor Jim O’Neill, Gottlieb has to disentangle himself from a network of drug industry jobs that some commentators fear could compromise his impartiality. At the beginning of May, Congress agreed a new federal spending plan which protected the FDA budget for the next fiscal year. The agency will receive $2.76 billion in funding, up $70 million on this year – this is in contrast to the budget cuts outlined in Trump’s budget plan. Nevertheless, money will be tight for Gottlieb, who is ambitious to improve the agency’s performance, including faster approval of novel technologies such as cell and gene therapy.